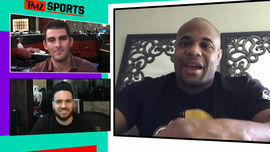 Daniel Cormier is a champion light heavyweight UFC fighter from Lafayette, LA. He was born on March 20, 1979. He wrestled for Colby Community College and Oklahoma State, where he studied sociology, and turned pro in 2009. He is also a two-time Olympic wrestler and six-time U.S. Open national champion. He finished fourth in the 2004 Olympics and had gold medal aspirations in 2008, but had to withdraw at the last minute due to kidney failure. This disappointment sent him into a depression until he discovered MMA. Cormier earned a brown belt in Jiu-Jitsu in October 2013. At the age of seven, Cormier witnessed his father’s murder on Thanksgiving Day in 1986. His parents were divorced and his dad’s second wife’s father pulled the trigger. 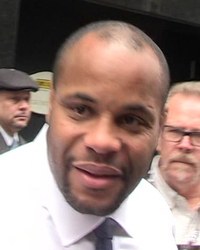 Cormier also mourned the loss of his three-month-old daughter, Kaedyn, with ex-Carolyn Flowers in 2003 after she was killed in a car accident. He has a son, Daniel II, and daughter, Marquita, with Salina Deleon. They got engaged in 2014 and plan to wed in May 2017. He was previously married to a woman named Robin. 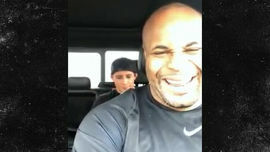 Cormier trains in San Jose, CA and coaches a youth wrestling team. 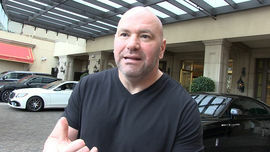 To Dana White ... Book the Brock Lesnar Fight Already!!! Apologizes for Failed Drug Test ... But I Didn't Cheat!